We want to hear from you! 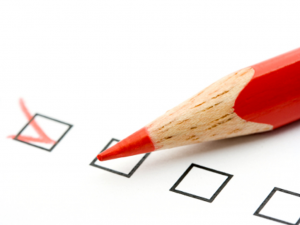 Help us plan future information sessions by taking a brief survey. Let us know what issues and resources are of interest to you and your family. Your feedback will help us provide high-quality information sessions to your community. CAREGIVING IN THE U.S. 2015, a report prepared for The National Alliance for Caregiving and the AARP Public Policy Institute, provides a good overview of many of the challenges facing family caregivers, including those who have a loved one with a mental illness. A caregiver is anyone who provides support to a spouse, parent, relative, or even a friend of neighbor. Although anyone who is a caregiver will not be surprised by most of what is in the report, it is important to highlight three major findings, and then review how a new program offered by Johns Hopkins Bayview Medical Center and a number of community partners, including NAMI Metropolitan Baltimore, can help address some of the challenges. First, although it is not unusual for caregivers to feel alone, there are large numbers of caregivers in every community across the country. In fact, more than 43 million adults—that’s almost one out of every five—reported being a caregiver. Of course, it is very easy for caregivers to feel isolated and lonely because their responsibilities may tie them down and give them little opportunity to meet and interact with others who are going through similar experiences. Second, it is clear that caregiving often impacts both physical and emotional well being, especially for those caring for a loved one with a mental illness. Approximately one out of every five caregivers (22%) felt their health had gotten worse as a result of caregiving. This number was even higher for those caring for someone with a mental health issue—where the ratio rose to one out of every three (34%). And while 38 percent of caregivers overall consider their caregiving responsibilities to be highly stressful emotionally, 53 percent of those caring for a loved one with a mental health issue reported their responsibilities to be highly stressful. Finally, we also learn from this report that the vast majority of caregivers (84%) say they could use more information or support on caregiving topics. The top two subjects they identified were keeping their loved one safe at home (42%) and managing their own stress (42%). The survey of caregivers also reveals that often it is not easy for them to access the information or help they need. For example, only one-third of caregivers (32%) say that a health-care provider, such as a doctor, nurse or social worker, has asked about their needs in providing care to family member, and only half as many (16%) say a health-care provider has asked what they need to take care of themselves. Recognizing these and other caregiving challenges, Johns Hopkins Bayview Medical Center has established CALLED TO CARE. The new program prepares and supports individuals caring for loved ones with health-related needs or limitations. CALLED TO CARE offers the opportunity for caregivers to come together. A good way to do this is to attend one of our Caregiver Cafes. These are offered twice a month, once on the campus of Johns Hopkins Bayview and once at a local public library. The groups provide a warm and welcoming environment in which caregivers can enjoy a snack and connect with fellow caregivers. These cafes also provide an opportunity to get answers to questions about health issues and community services by speaking informally with medical professionals and representatives of various agencies and organizations. Another way CALLED TO CARE addresses the need of caregivers to get more information is by offering MARYLAND CAREGIVER TELECONNECTION. This is a free, weekly call-in program that allows individuals to engage with experts about medical conditions and treatments, hospital and community resources, and other caregiver-related issues. CALLED TO CARE also offers a Caregiving 101 course that brings caregivers and health professionals together in a relaxed setting to discuss common issues, share ideas, and gain a better understanding of each other’s perspectives on caregiving. This six-week course is held at Johns Hopkins Bayview and covers a number of topics, including What It Means to be a Caregiver, Taking Care of Yourself, and Preventing and Solving Problems. In addition to these programs, CALLED TO CARE links caregivers to more than 20 community agencies and organizations offering valuable resources. Some of those agencies and organizations include NAMI, the Alzheimer’s Association, Maryland Legal Aid, Jewish Community Services, Catholic Charities, and Meals on Wheels. Family caregivers play an integral role in a loved one’s health, wellness, and recovery. There are many resources available to help caregivers overcome challenges and to become more effective caregivers by maintaining their own wellness, learning more about the family member’s health needs, and connecting with peers. Don’t be afraid to reach out for help. For more information about CALLED TO CARE and the services offered by our community partners, visit our website or call 410-550-8018. Dan Hale, Ph.D., is a clinical psychologist who currently serves as Special Advisor to the President of Johns Hopkins Bayview Medical Center and Director of CALLED TO CARE. He also is an Assistant Professor of Medicine in the Division of Geriatric Medicine & Gerontology and an Assistant Professor of Psychiatry & Behavioral Sciences. In addition to his professional experience in the field of mental health, he spent many years helping care for a daughter who suffered from serious mental illness. NAMI is excited to announce the release of its newest report, State Mental Health Legislation: Trends, Themes and Effective Practices. 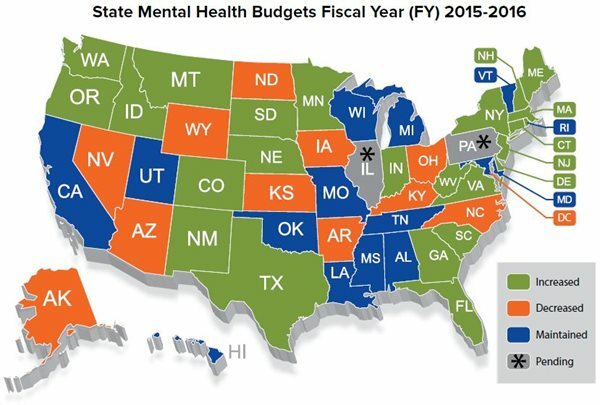 This is NAMI’s third annual state legislation report tracking state mental health budgets and identifying legislative trends across the country. In good news, the report found that several states passed innovative measures that can serve as models for development and change across the country. In more alarming news, NAMI found that overall investment in state mental health budgets has been declining for the past three years. NAMI hopes this report will serve as an important tool for state leaders and advocates as we work together to improve mental health care in this country. For more information, visit nami.org. I am frequently asked whether someone with a mental health disorder can get Social Security or SSI disability benefits. The answer is YES, depending on the specific facts of each case. First you need to understand the difference between Social Security disability and SSI (Supplemental Security Income) disability. To get disability benefits under Social Security you must have worked long enough and paid into the Social Security system. If you do not have enough work credits to qualify for Social Security then you can apply under the SSI disability program. SSI is a needs based program which means that you must first meet the financial requirements for SSI. Once you determine which program you are eligible for, then you must prove that you are disabled according to Social Security’s definition. The key to getting these benefits is to prove that your limitations are severe enough to prevent you from doing any type of work. Social Security has a very specific definition of disability. I talk to many clients who believe that because they are unable to return to their specific job they will automatically be found disabled by the Social Security Administration. This is not true. What does this really mean? Basically, your psychiatric condition must be so severe that it keeps you from doing any type of work on a full-time basis and has already lasted for 12 months or longer, or is expected to last that long. The determination of disability is based on the information in your medical records, reports from your treating doctors about your mental limitations, reports from any Consultative Examinations scheduled by the Social Security Administration and your testimony at the hearing before an administrative law judge. The Social Security administration will consider whether you are capable of returning to any of the jobs that you most recently held or any other type of work. This determination of disability does not consider whether you could earn the same amount of money in other types of jobs. This determination is based solely on your physical and/or mental capabilities. 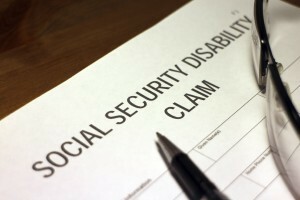 For Social Security purposes your condition must be totally disabling for at least 12 consecutive months. However, you can still receive benefits if your condition improves and you return to work. This is called a “closed period” and means that you were unable to work on a full time basis for at least 12 months but have now recovered and can return to work. For example, if you suffer a traumatic event and have a decline in your mental health condition you may need more intensive treatment for an extended period of time. After that period of more intensive treatment you may be able to return to work. You can still qualify for Social Security/SSI disability benefits if for that extended period that you could not work, as long as it lasted at least 12 consecutive months. You would not receive ongoing monthly benefits, however, once you can return to work. Medical evidence of your psychological limitations is the key to getting Social Security/SSI disability benefits for mental health problems. If you have been unable to work for at least 12 months or anticipate that you will be unable to work for that long you may qualify for Social Security/SSI disability. If this describes your situation you should apply for disability benefits right away. Sharon Christie is a nurse and an attorney in Timonium, Maryland. She handles only Social Security/SSI disability cases. To receive a free copy of her Unofficial Guide to Social Security Disability Claims visit her website at www.SharonChristieLaw.com or call 410-823-8200. Reflecting on my time with NAMI Metropolitan Baltimore I like to think back to the questions I was first asked when I learned where I would spend my year as a Lutheran Volunteer Corps member. The assumptions made about the city were those you would expect from those who have never made it to Charm City, formed from equal parts ‘The Wire’ and ‘Hairspray.’ Nothing prepared me for the year that was ahead of me. While I knew the hyper stylized idea of Baltimore was far from reality, I was still unsure of what that truth would ultimately be. I had questions of how it would change me, of the challenges ahead of me, and how I would be able to serve well. While I was certainly excited, it was far easier to focus on the anxieties of transition, a feeling only magnified by an uncertainty of having no sense of connections or community in a new home. Fast forward to a year after first setting foot in the office, I realize how that feeling of hesitation which surrounds a time of transition so closely ties to the work of NAMI Metropolitan Baltimore. Our programs serve those transitioning from a time of fear to hope, from questioning to understanding. Throughout my year I was able to see the transition from dark days to recovery and hope. A change of attitudes from ignorance and fear to understanding and empathy. As the work continues, these questions and insecurities will continued to be experienced for the first time or for what some might feel like the hundredth. For some they will be new and daunting, and for others revisiting them with a new sense of perspective as peer, family member, volunteer, or community member. As I brag to all those who will listen about those who I had the pleasure to meet during my year with NAMI Metropolitan Baltimore, I focus on one particular aspect. Rather than seeking to provide a service limited to a singular interaction, the idea of true connection is uplifted. It is not enough for our volunteers, staff, or board to provide a program and move on, instead they seek a relationship which will strengthen and enrich all those involved. This belief and attitude is that which I will remember most fondly and continue to emulate in my future. It was always a joy to see how the NAMI effect spread from one interaction to families, neighborhoods, and then to the city. Now I am tasked with sharing these lessons and attitude to a community far separate from Baltimore. As I prepare for the next season of life, I look forward to taking the lessons learned from so many. There is little I can say to express the pride and gratitude for the opportunity to have served with such an important organization made of such extraordinary people. Rest assured I look forward to hearing how NAMI Metropolitan Baltimore continues to expand and can hope to be so lucky as to return to Baltimore as soon as possible. Alec Van Dyke served as the Communications Assistant at NAMI Metropolitan Baltimore through the Lutheran Volunteer Corps. During his year of service, Alec expanded NAMI Metropolitan Baltimore’s services to include programs for youth, including piloting Breaking the Silence in Baltimore area schools. 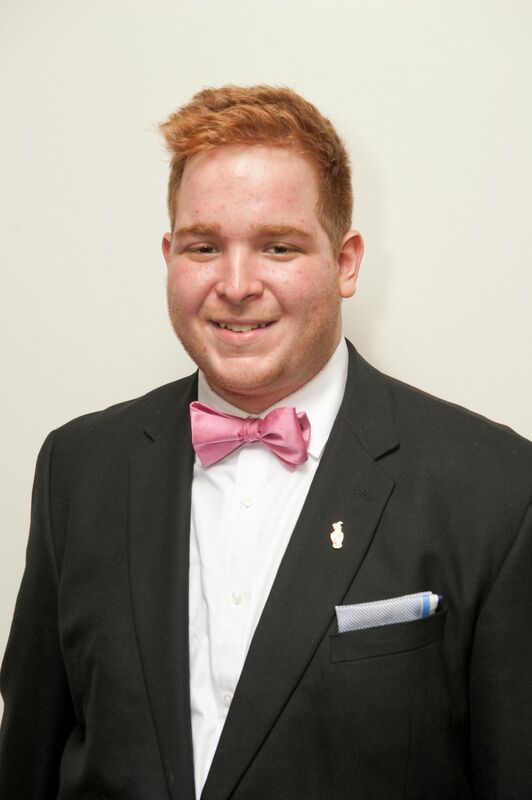 He begins a master’s program in Child Life at the University of Akron’s School of Speech Language and Pathology and Audiology this fall. Welcome to our brand new website! We hope you will find it easy to navigate and full of good information about the work that NAMI Metro Baltimore is doing in our community, and how you can engage with us in fighting stigma, educating and supporting families, and working with individuals who are living with mental illness. Now for news that we think will help us in serving you. NAMI Metro Baltimore is moving its offices to 6600 York Road, Suite 204. We will be downsizing from more than 3000 square feet to 2000 square feet, but will be upgrading our systems and our capacity to function effectively as an organization. We are very excited! Our focus and strategy in the next few years is to reach out into communities, serving people where they live and work. We will be coordinating with churches and libraries and other nonprofits for meeting and educational space. We will be circling the beltway with opportunities for families and individuals to learn about and experience all that NAMI Metro Baltimore has to offer. We will be strengthening existing partnerships and forging new ones. Our new office will have a board room that can accommodate some of our groups. There is a small meeting space for others. It has a well-lit parking lot, and two bus stops within a block of the building. The building is open from 7 a.m. until 7 p.m. so you will only have to buzz in if you are coming for a late evening meeting. It is also equipped with an elevator. Our move is slated for Monday, June 8, so there may be a few days before and after that when we are without email and/or phones. We are working hard to keep the disruption to a minimum, and we thank you in advance for your patience. Once we are settled in, we will host an open house on Monday, July 13 from 4-6 and hope you will join us! And on another note of interest, after we are in our new space, we anticipate using more administrative volunteers, including those who would be interested in helping staff our help line. If you or someone you know would like to volunteer, please contact Julianne Mills at jmills@namibalitmore.org. Again, thanks for all you do. If you have questions about the move, please don’t hesitate to contact me at 410-435-2600 or swelch@namibaltimore.org.